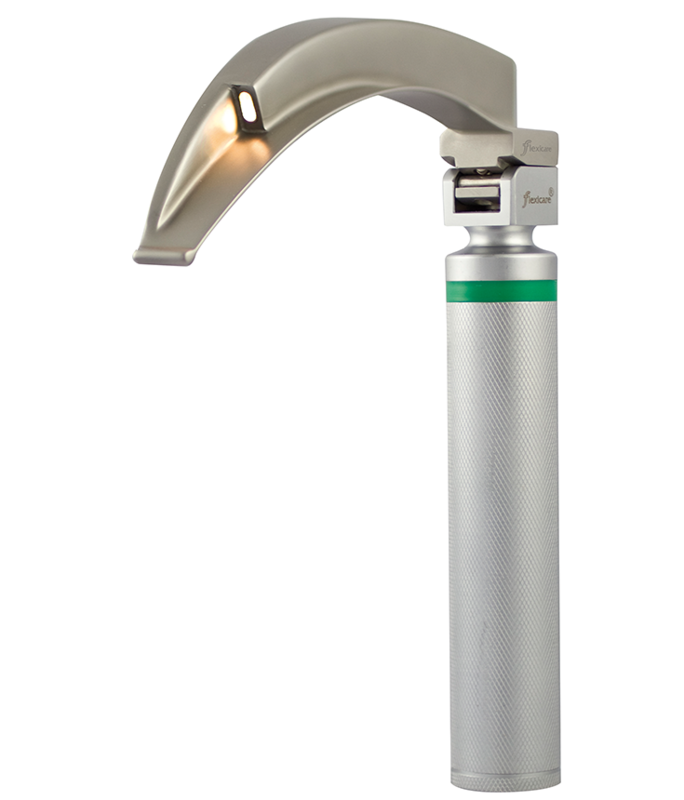 Bright, white LED light delivers a true visualisation of larynx and tissue structures. 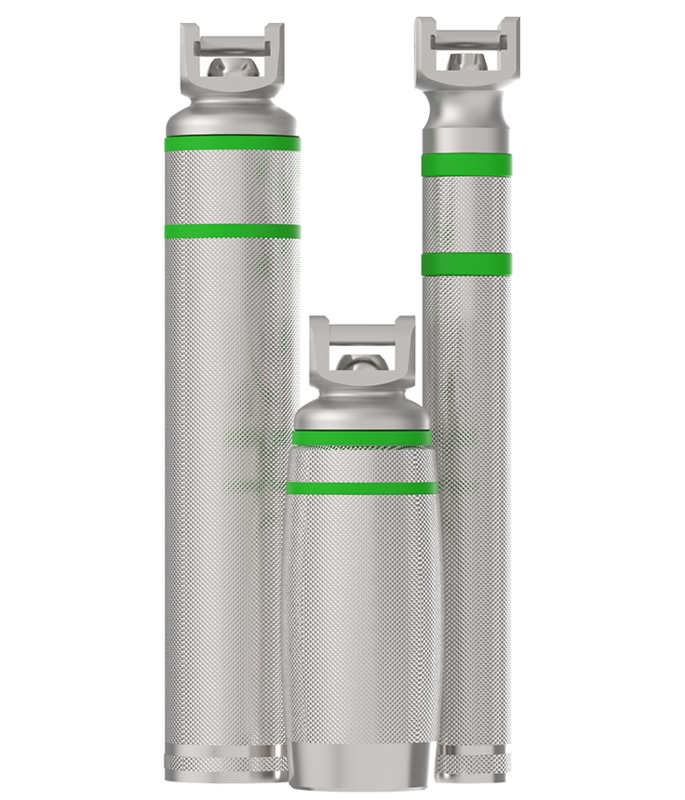 LED bulb uses less power from the batteries than conventional halogen or krypton bulbs, reducing frequent battery replacement. 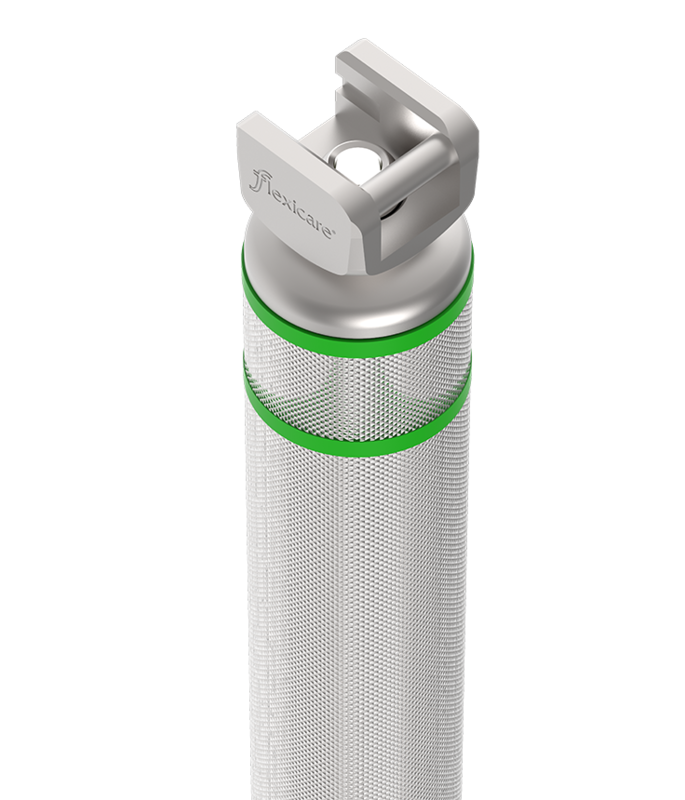 The green band signifies that BritePro Max conforms to EN ISO 7376:2009 and is compatible with all fibre optic blade systems. 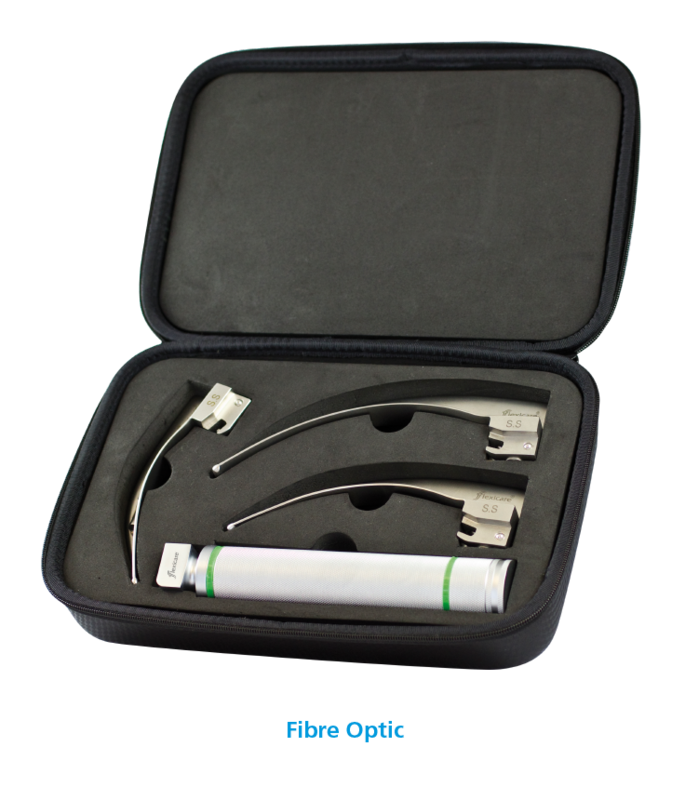 Wide profile fibre optic bundle provides maximum light transfer. 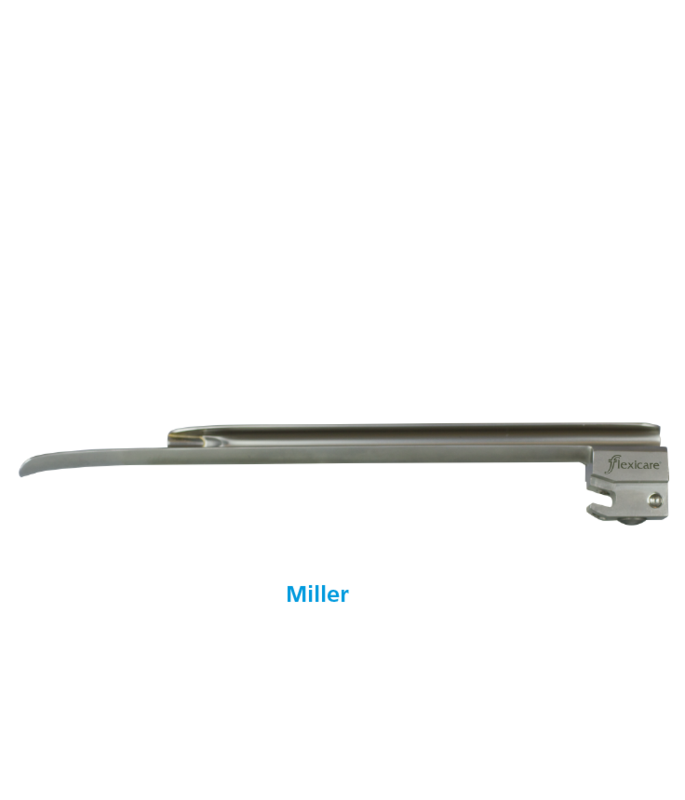 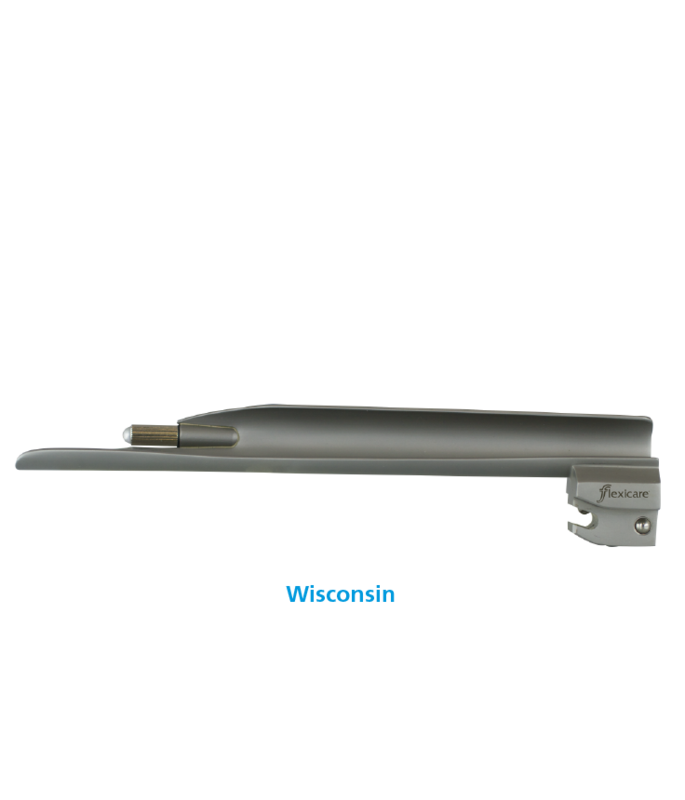 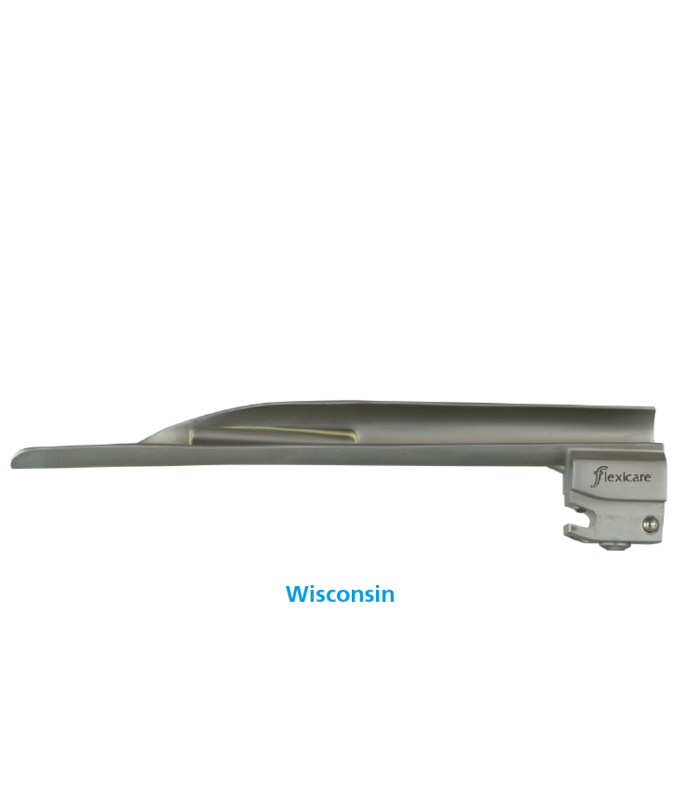 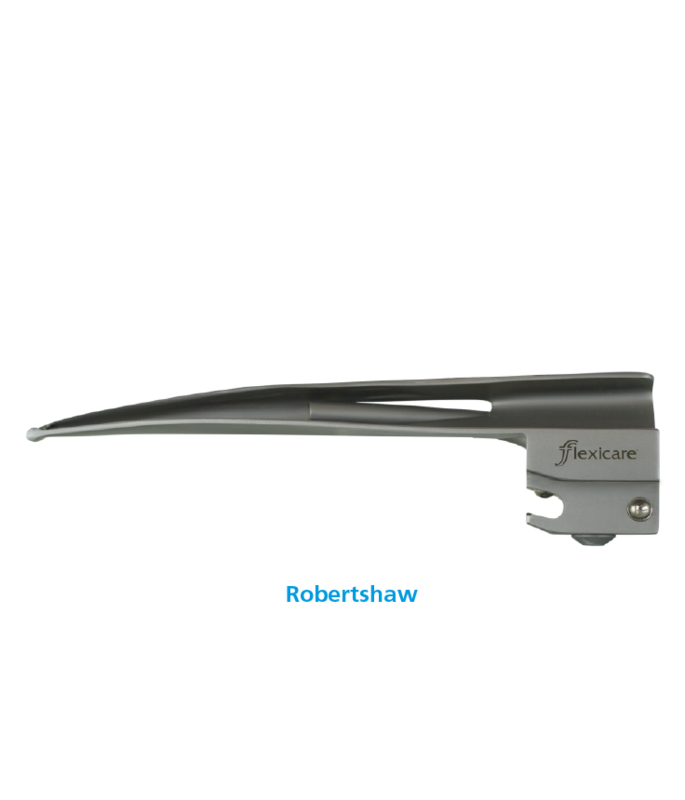 Blade features an atraumatic curved tip which reduces risk of tissue damage. 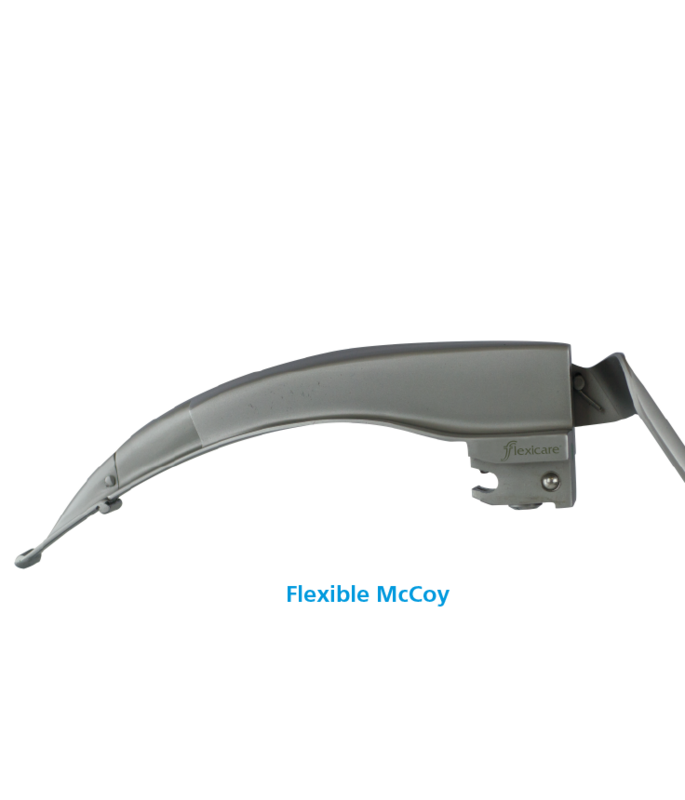 100% stainless steel construction of the blade provides long life, ensuring long term usage even after repeated autoclaving. 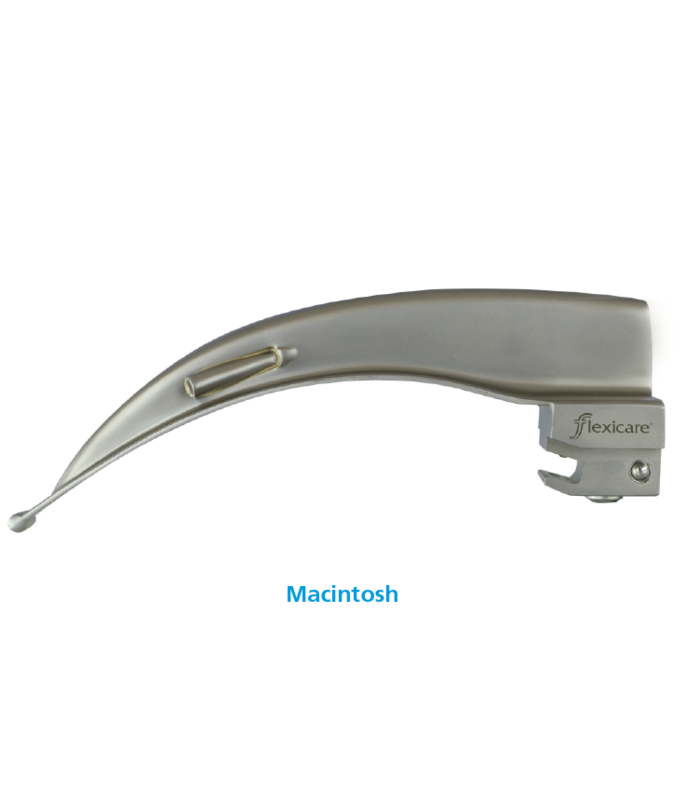 High grade of fibre-optics provides optimal light transfer without heat, reducing risk of thermal damage and maximising view of the larynx. 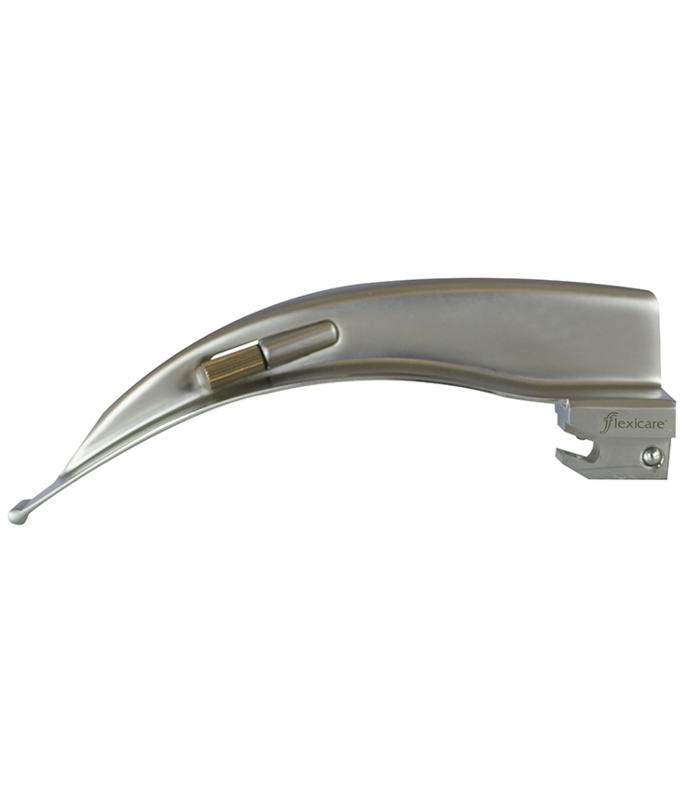 Made from high quality stainless steel, our blades give clinicians a complete choice for all patient intubation requirements. 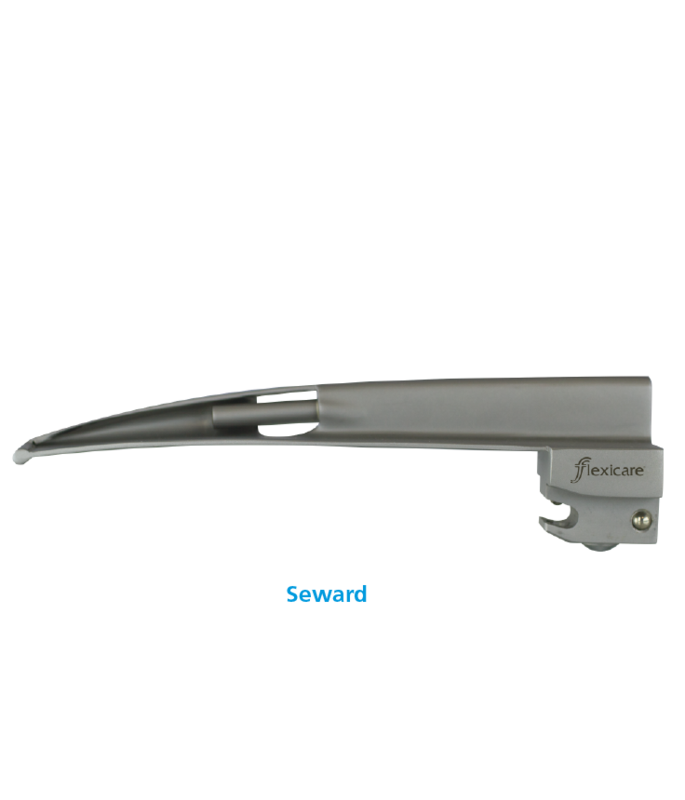 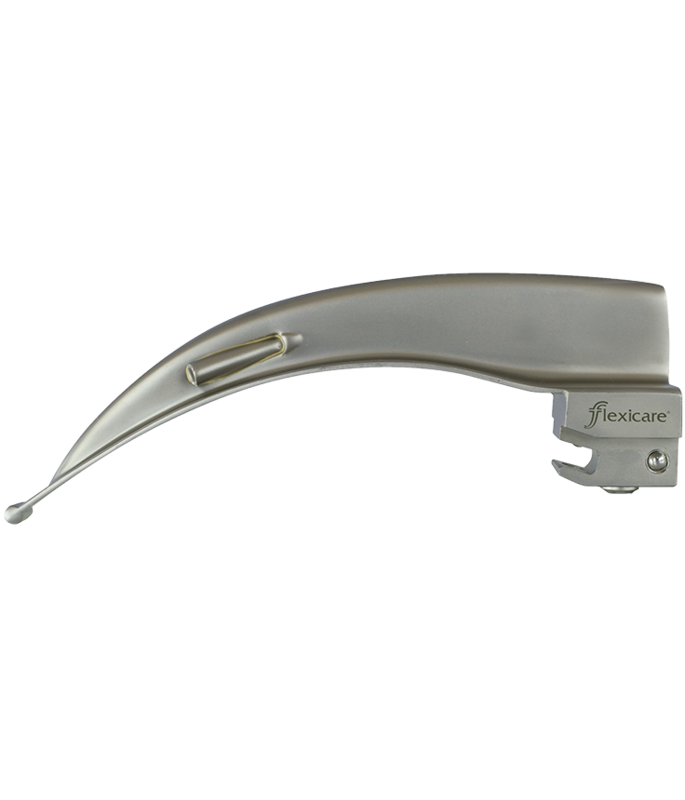 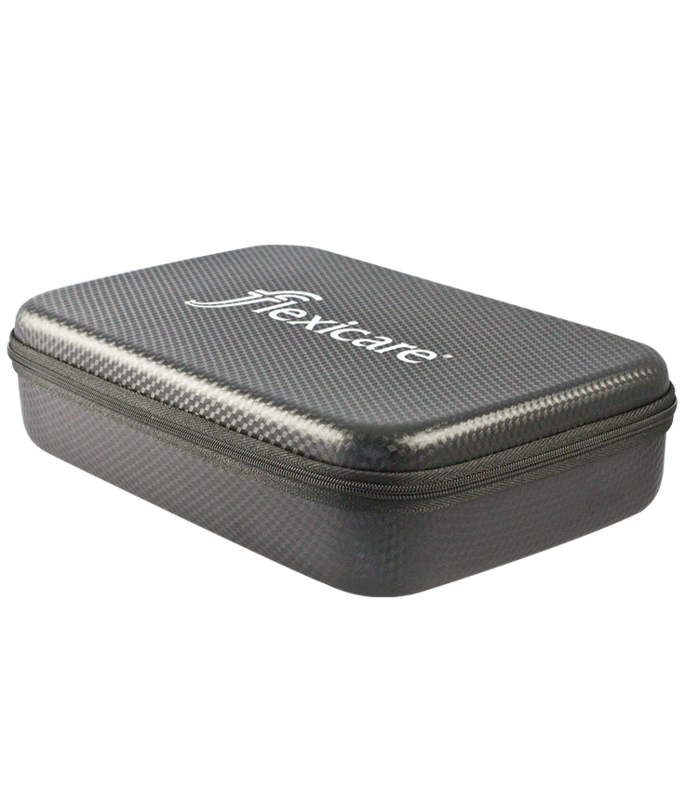 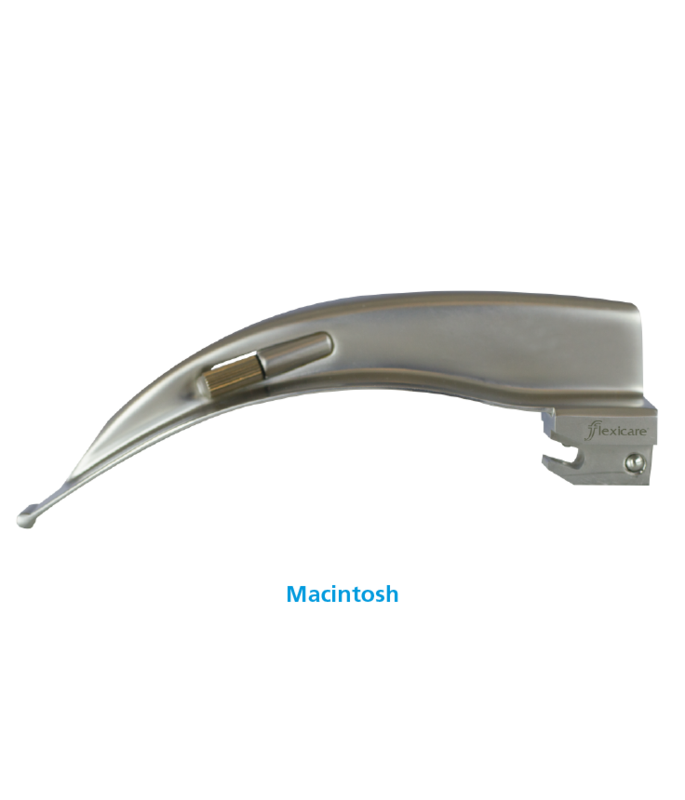 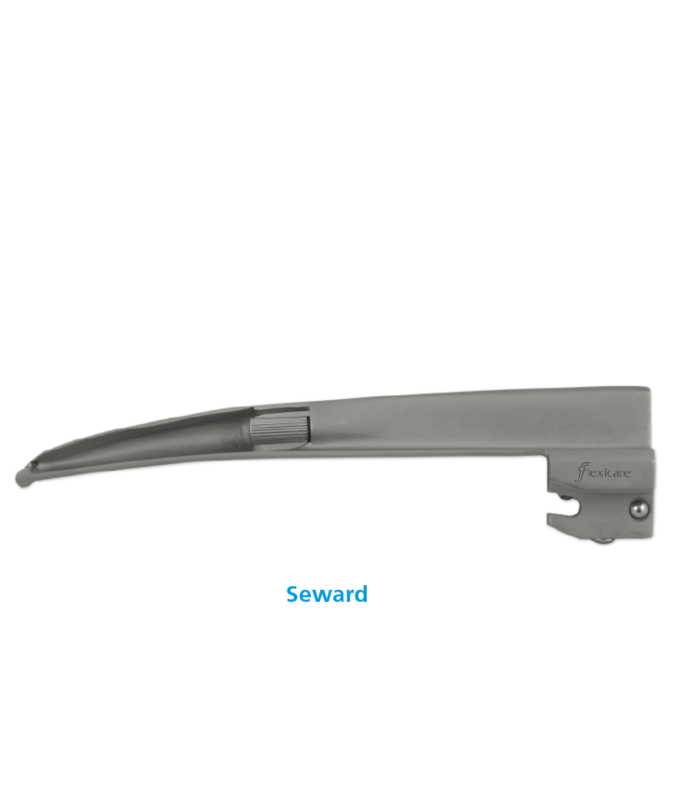 In addition to the Fibre Optic and Conventional Reusable Laryngoscope Box Sets which are readily available, Flexicare offers a customisation service so clinicians can choose a combination of handles and blades for a bespoke intubation pack. 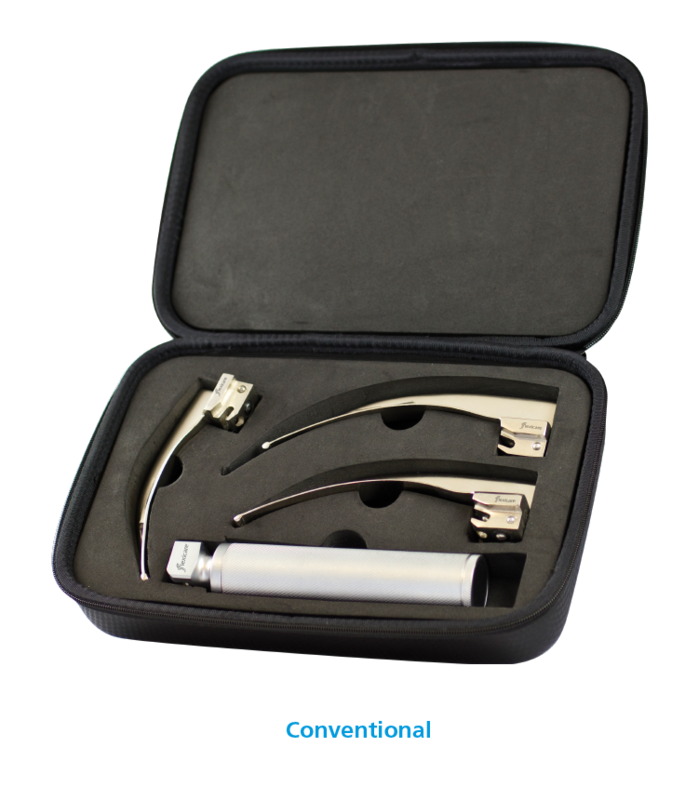 The handles and blades are protected by the outer casing as well as being securely held in place within designated foam inner compartments. 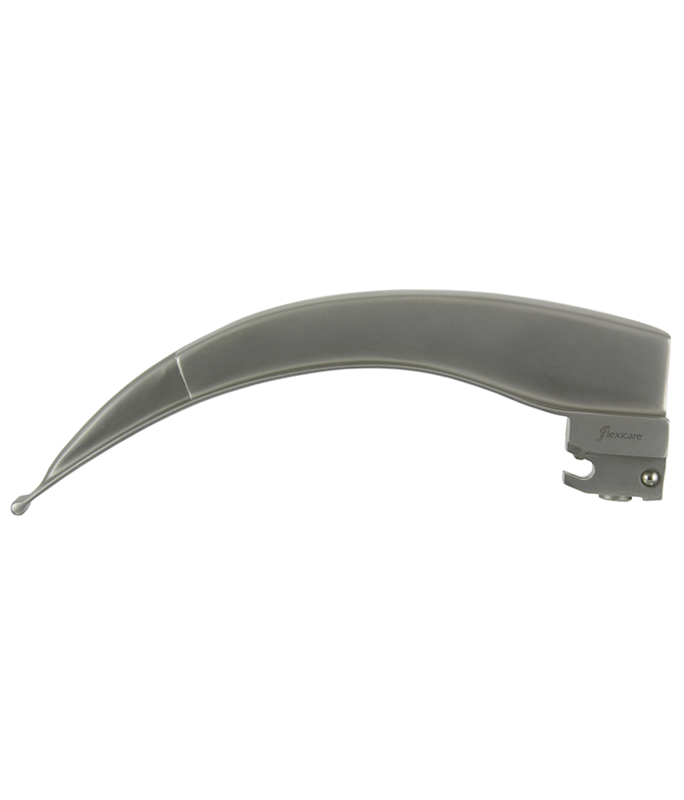 Handles can be opened at both ends to remove swollen batteries with ease. 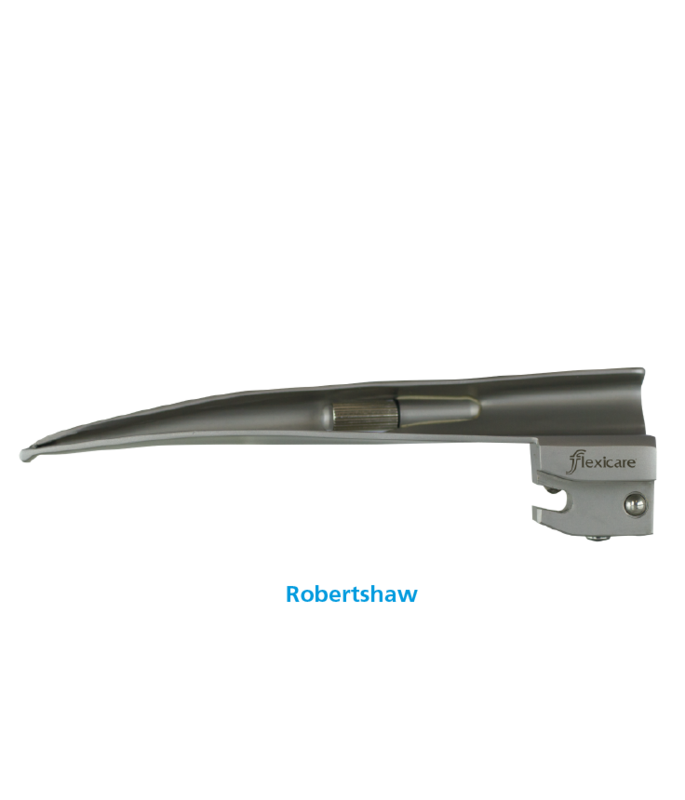 For further information please contact us to discuss your requirements.